Are you on the hunt for some cool birthday party ideas? A camping birthday party is the perfect theme for kids. Check out these 27 Camping Birthday Party Ideas! Is your little one an outdoor explorer? If so, break out the tent and s’mores and throw your child an awesome camping themed birthday party! Now that the weather is warmer, a camping birthday party is the perfect theme! You can come up with so many cute and creative ideas for a camping party that would work both indoors or outdoors! Check out these 27 Camping Birthday Party Ideas that are clearly the most clever out there! What’s camping without s’mores, right? 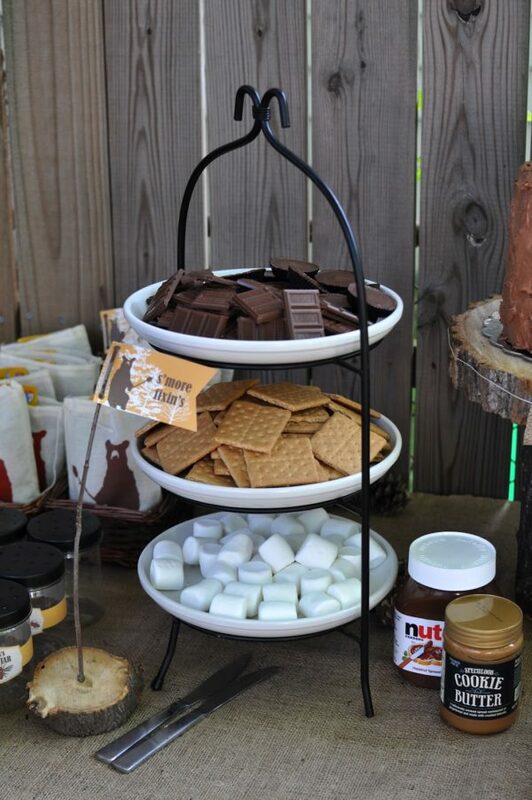 Set up a fun S’mores Station like this one and the kids will be all set to toast some marshmallows over the fire pit and make some of those classic summertime camping treats we’ve all grown to love! Watch out for the bears, I mean the “Bear Poop“! 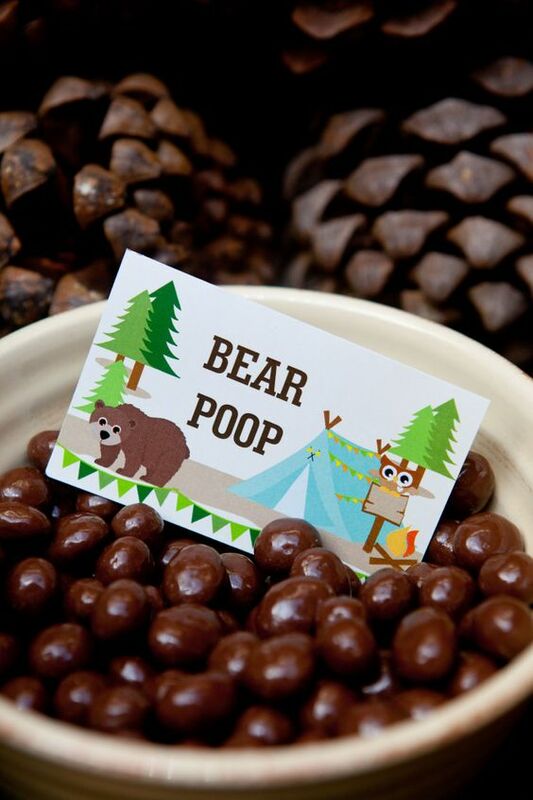 How adorable and clever is this camping birthday party idea? Getting creative with the names of food, candy and drinks are what sets your party apart from the rest! 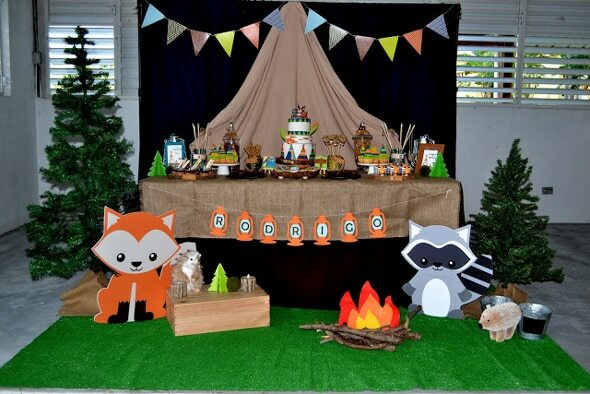 This Woodland Camping Dessert Table is absolutely adorable with the cute woodland animal cutouts, indoor camp fire, and the lantern banner! This is a great example of an indoor camping party that you can set up at your home! 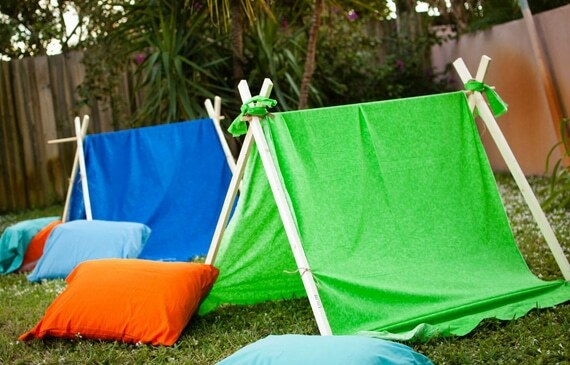 These Outdoor Camping Tents are the cutest party props for a fun camping birthday party! 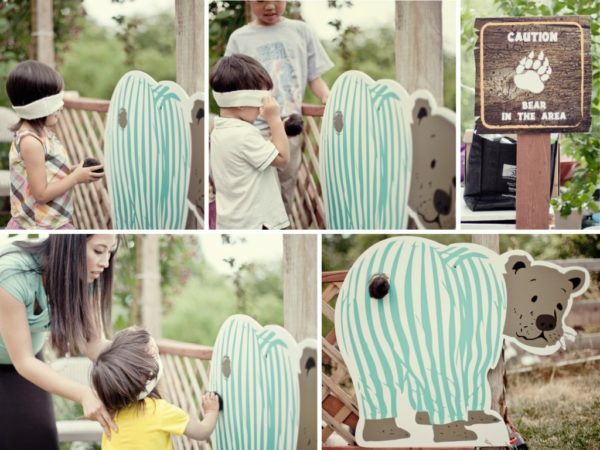 To keep the kids entertained, this Pin the Tail on the Bear Game is sure to be a hit! 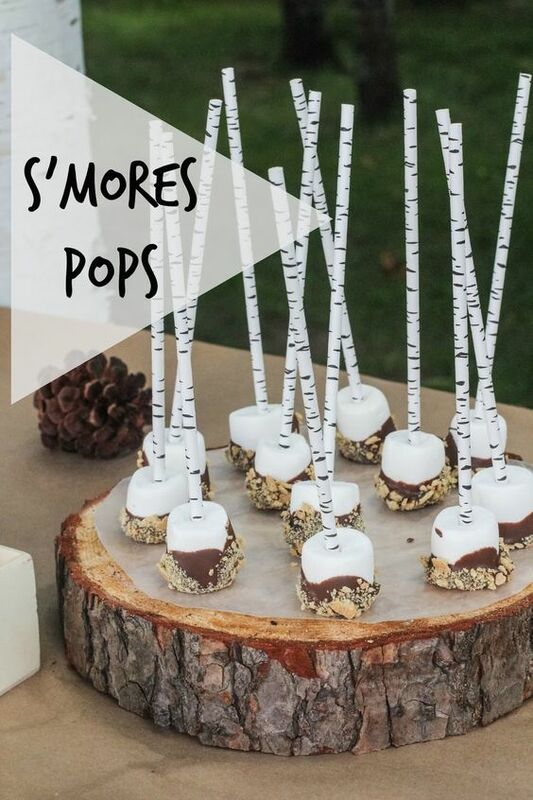 These DIY S’mores Pops are kid-friendly and perfect to add to your camping dessert table! 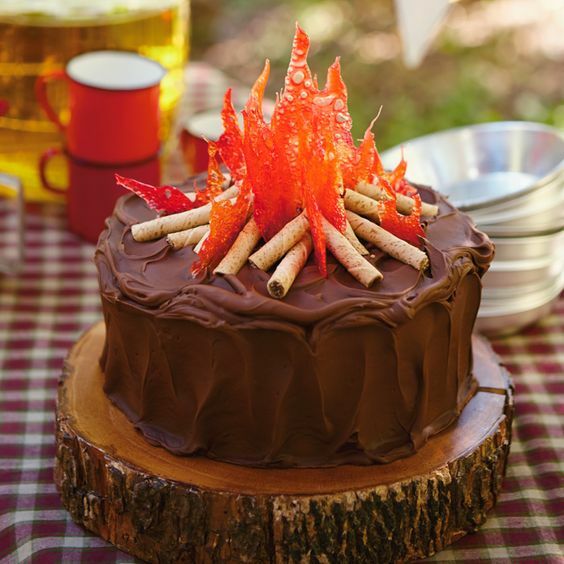 We just love this Camping Party Birthday Cake set on top of a wooden cake stand! 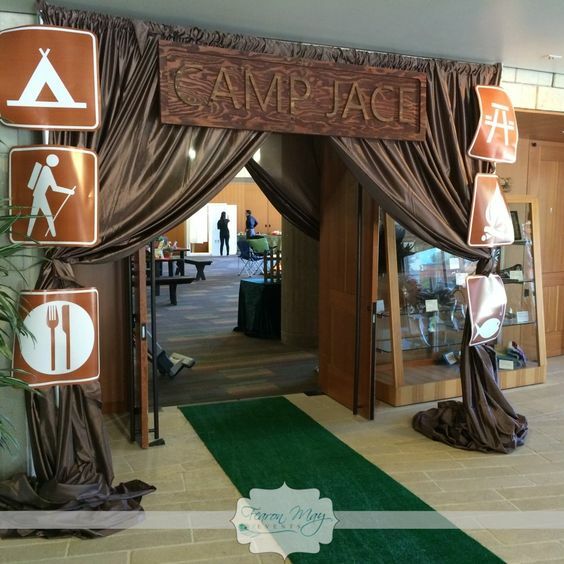 This fabulous Camping Party Sign is perfect to greet party guests and direct them to where all of the exciting party festivities are! This adorable Camping Party Table is just fabulous! 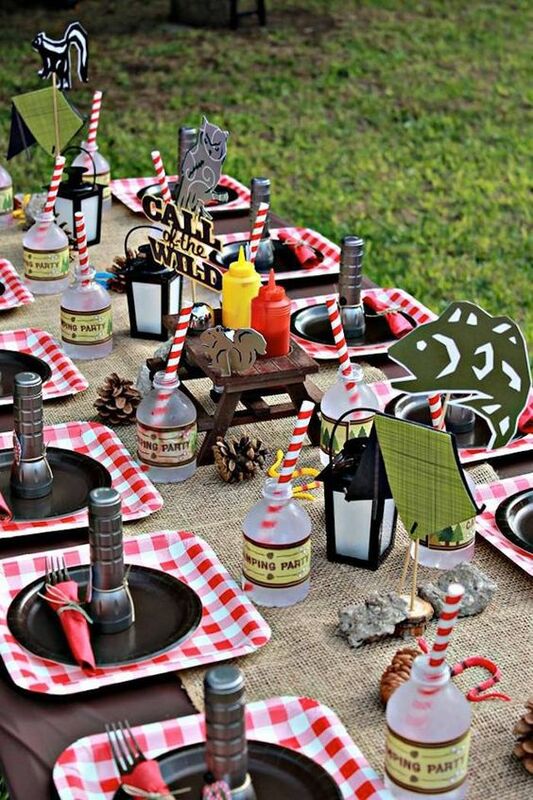 Look at all of the adorable camping details, including the picnic table ketchup and mustard holder in the center! AWESOME! 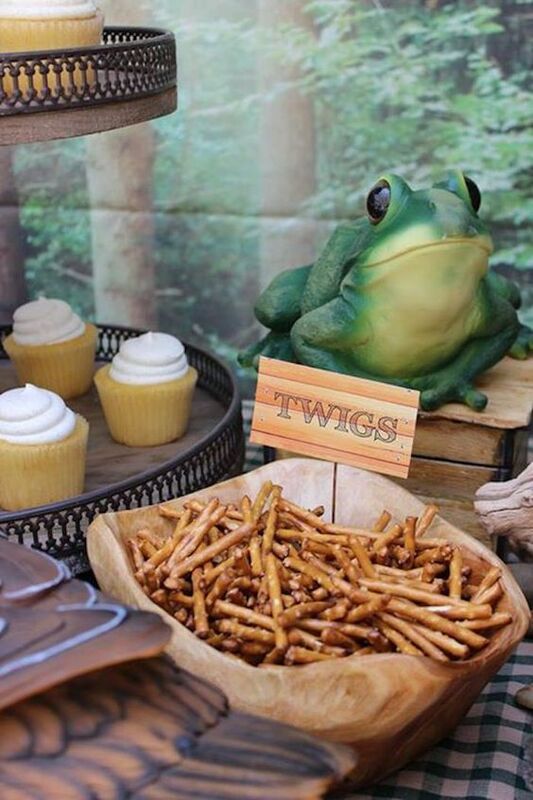 We love the wooden food label for this Pretzel “Twigs” Camping Party Idea! Another creative take on food – perfect! 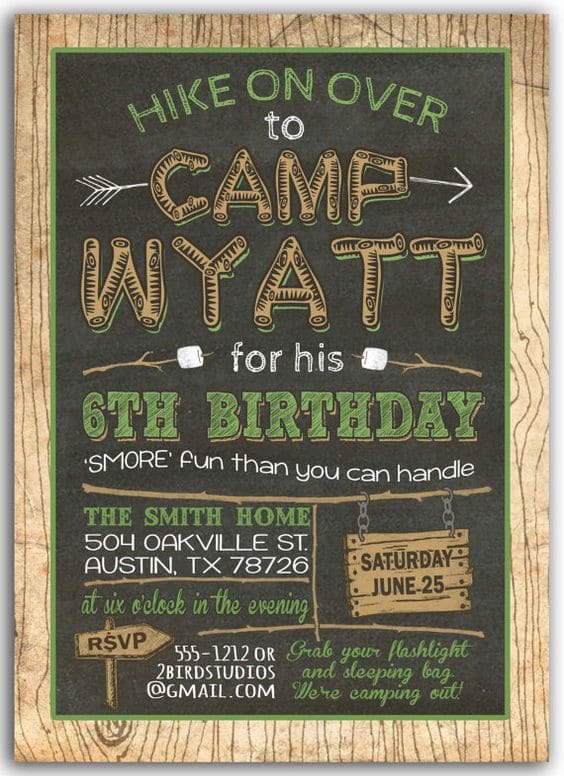 Hike on over and grab this fun Camping Party Invitation for your camping birthday party! 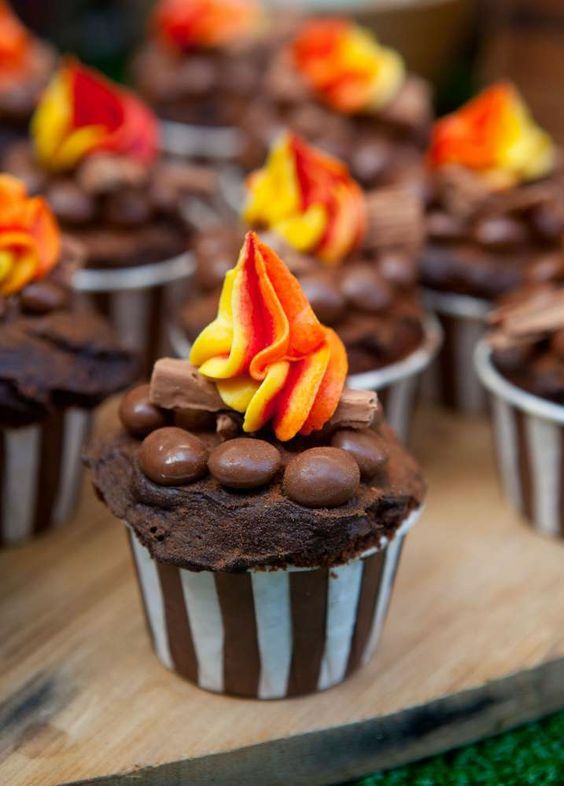 Keeping with the theme, these Camp Fire Cupcakes are perfect for the kiddos and match the cake above perfectly! 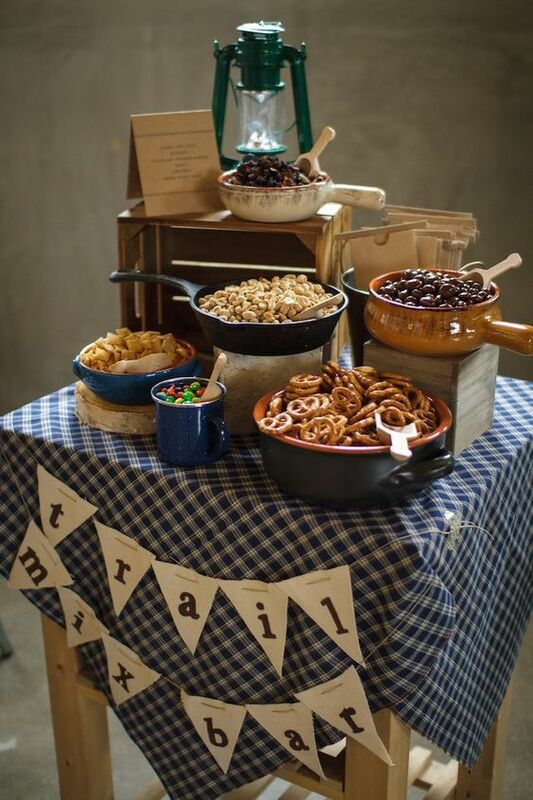 Another fun camping birthday party idea is to add a Trail Mix Bar like this one! The kids will LOVE it! Thirsty after enjoying the trail mix bar? 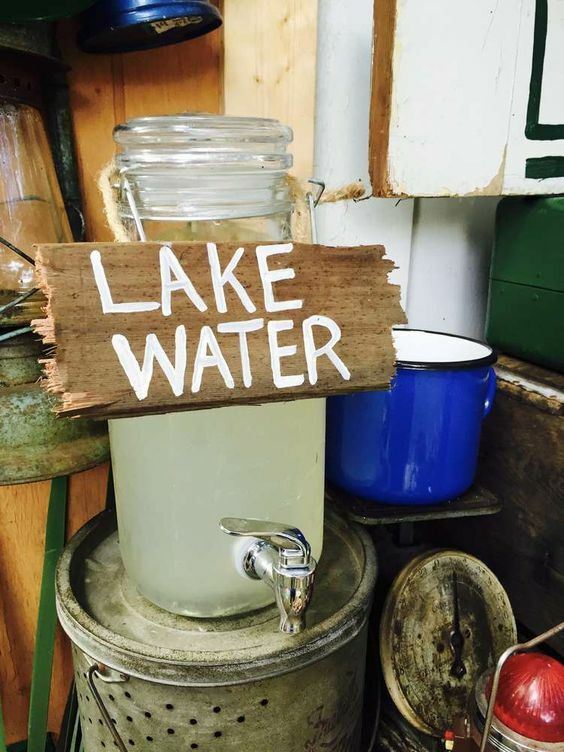 Grab something cold and refreshing from the “Lake Water” Beverage Station! 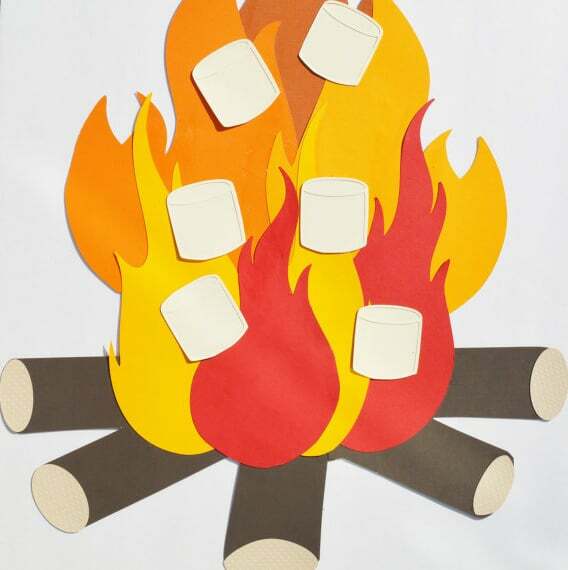 Another fun activity the kids will love is the Pin the Marshmallows on the Campfire Game! Need more ideas for your camping party dessert table? 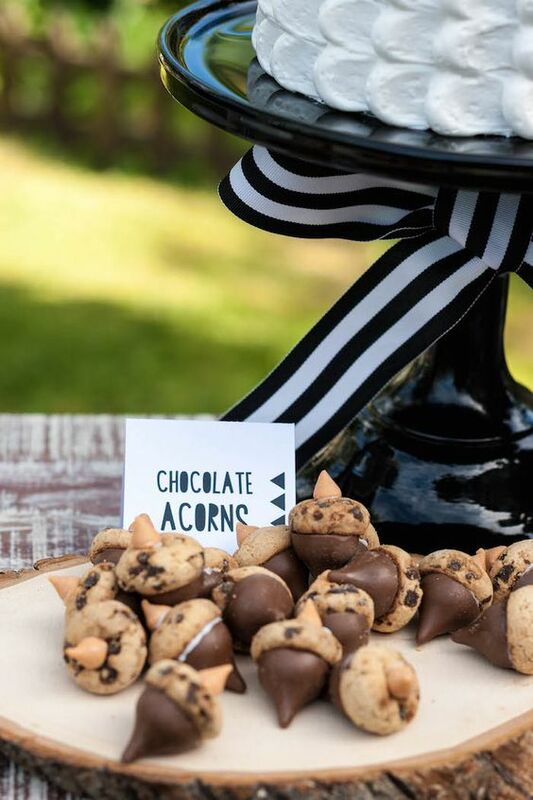 Add these adorable Chocolate Acorns to the mix! 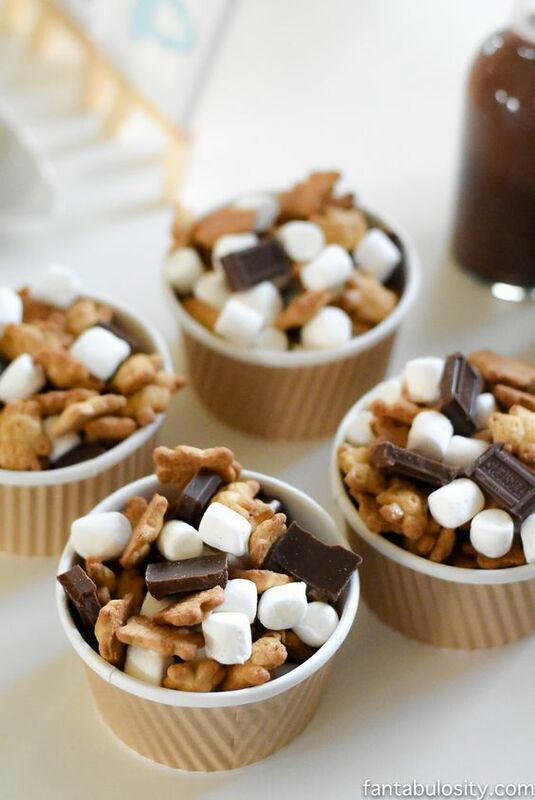 This Camping Party Treat Mix with teddy grahams, chocolate and marshmallows is another great party food idea for the kids! 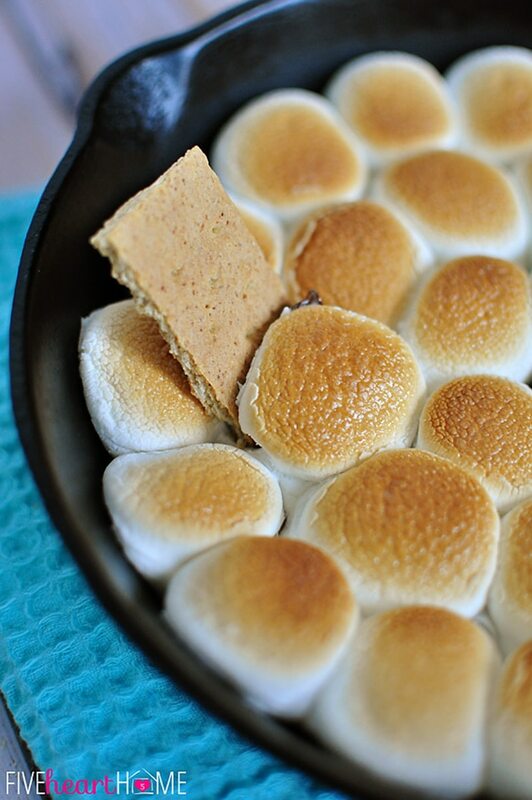 This gooey S’mores Skillet Dip Recipe will be a hit at your camping party! Just grab some graham crackers and dig in! 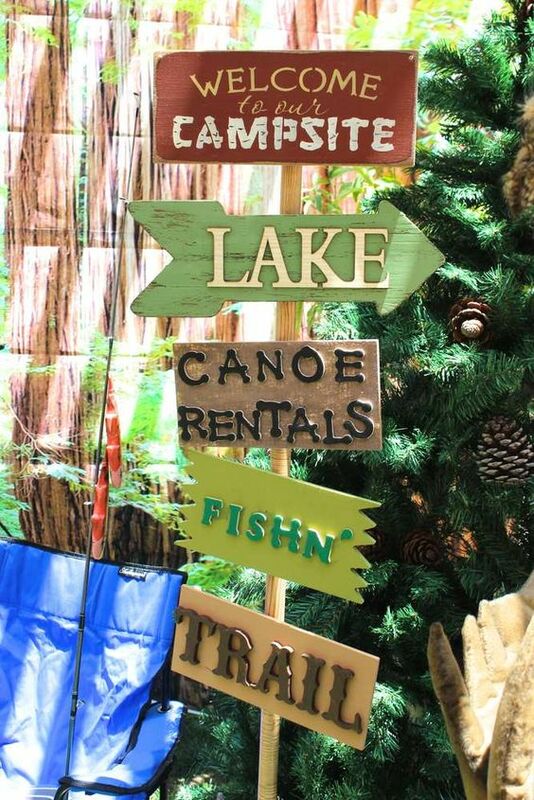 If you’re going to go all out on your camping party, check out this Camping Party Entrance Decor! You can set up something like this inside or outside! 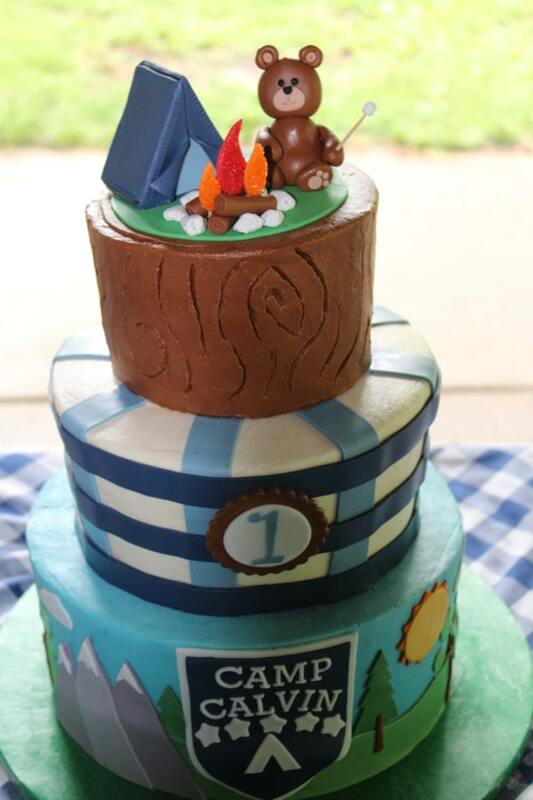 This Camping Birthday Party Cake is definitely one of a kind and perfect for any little camper’s birthday! 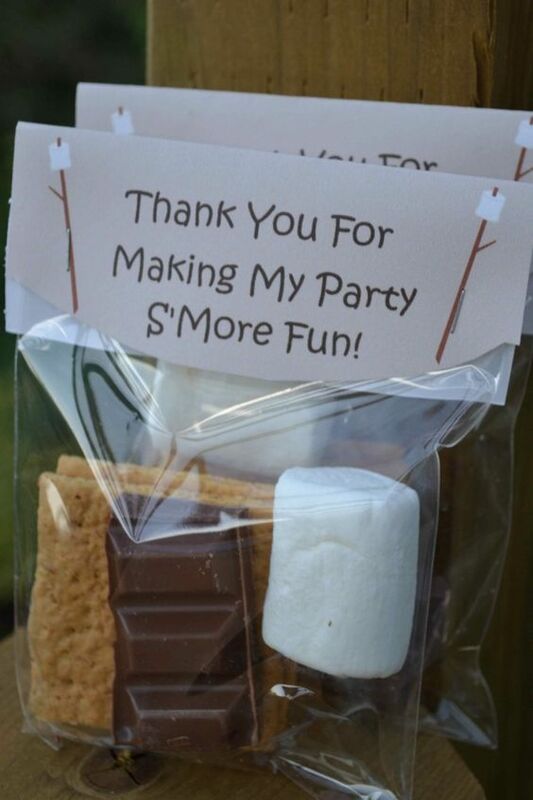 These S’mores Camping Party Favors are adorable and the perfect take-home after a fabulous camping themed party! Get a little crafty and make a Don’t Feed the Bears Sign like this one for your camping party! 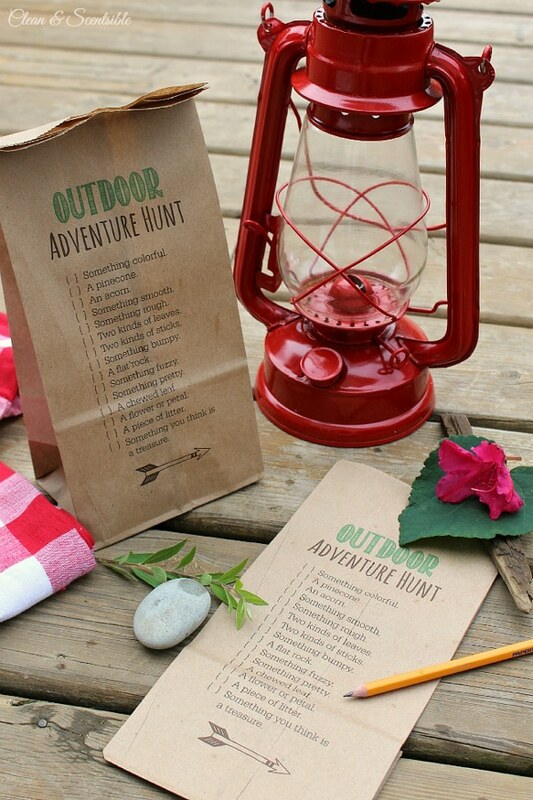 Get everyone in on the fun with these Outdoor Scavenger Hunt Free Printables! 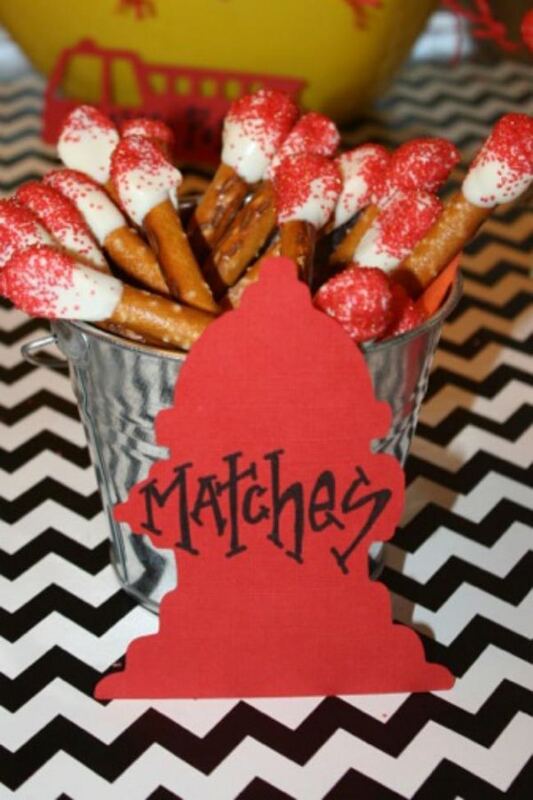 How clever is this Pretzel “Matches” Party Food Idea?! AWESOME! 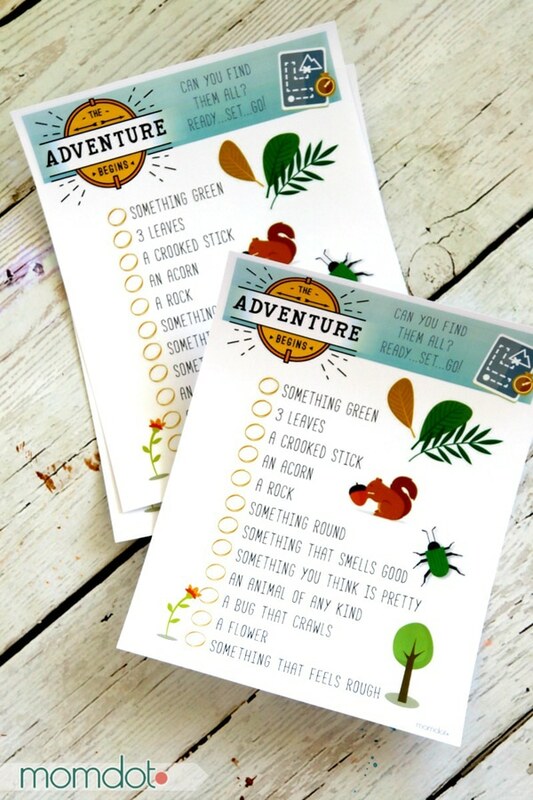 The adventure begins with this Free Printable Scavenger Hunt for Kids! Camping can get dirty! 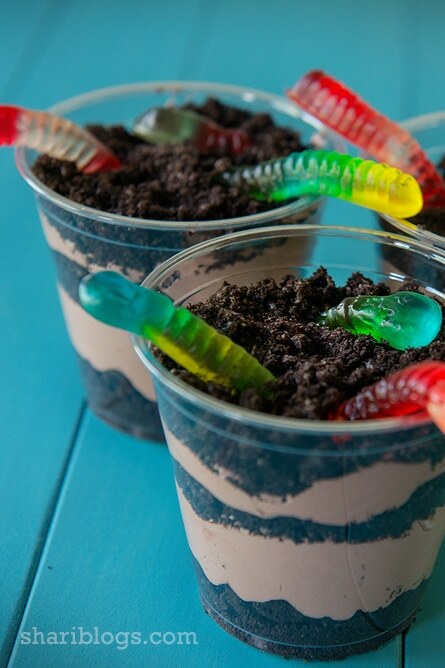 These Oreo Dirt Cups are the perfect camping party dessert! Individual desserts are the way to go, especially for kids! 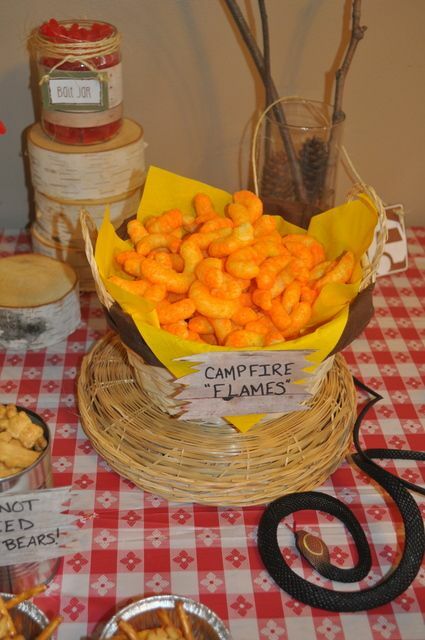 Another creative idea we love are these Camp “Flames” Cheese Curls! Are you ready to start planning your outdoor adventure with these 27 Camping Birthday Party Ideas?! Which ones are your favorites? Let us know in the comments below! Looking for more party ideas? Don’t forget to follow us on Instagram @prettymyparty and Pinterest and join us in our private Facebook group.